Amerlish is hiring teachers for Pre-K and up! Come join our team and help us mold a new generation of culturally literate and bilingual individuals. We teach with neutral American accents in an immersive environment, using our own proprietary curriculum, which focuses on literature and culture. Our goal is to create a strong foundation of English for our young learners, which will provide them with many opportunities to expand and grow. Amerlish is committed to creating a positive experience for all of its teachers. Our company is co-managed by a team of Americans who have lived in China for several years. We are extremely qualified in anticipating the questions and concerns our teachers may have. Also, we are dedicated to smoothing the transition from the familiar comforts you enjoy at home to an exciting life here in the big city of Beijing. 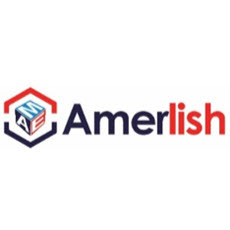 So, save yourself the hassle, frustration, and headaches that come from working for one of the many out-of-touch and culturally indifferent employers, and have an awesome time working with Amerlish! Teach in the classroom up to 25 teaching hours per week. Teach classes ranging from pre-k to 1st grade, based on current student enrollment. Prepare lesson plans for their classes on a weekly basis. Grade tests, correct homework, and provide timely feedback to parents about their student’s performance. Assist in the logistics and planning of seasonal culture parties and activities. Assist marketing in the enrollment of potential students by teaching demo classes. Graduate from a United States college or university with a bachelor’s degree or higher. Preferred field of study: TESOL, ESL, English, education. TESOL certification (will help to certify the right person). Native English speaker from America, Canada, Australia, or the UK. 24 years of age or older. Experience working with children as a teacher, counselor, or coach. International travel or work experience preferred, especially in China. Proficient in Microsoft Office and Excel. Professional work manner and capable of working in a group environment. Able to adapt to change in work assignments, and proactive with your day-to-day responsibilities. Able to set goals, organize, plan, and carry out your assignments with little supervision from upper management. Reimbursement for work visa application and processing. Company provided housing stipend for a shared apartment. Time off for Chinese holidays, along with lots of PTO.